Top of the line quality from Leader Accessories. This is the eCaddy lite mounting plate. 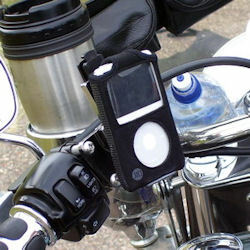 It mounts in all bar or handlebar control mounted eCaddy or RoadRunner brackets and provides an easy way to clip-on a cell phone, MP3 player or any gadget you want to carry. 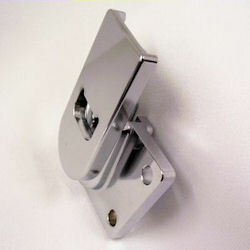 Below image shows the eCaddy Lite mounting plate fitted into a perch-mounted bracket. Every time you buy any product, you have a choice. You can continue supporting companies who export jobs overseas or, if you want a classy and well made product and you believe we need to start supporting companies who still produce everything right here in the US, then that choice is easily made.